In the last three years Matthew Renshaw, Cameron Bancroft, Aaron Finch and now Marcus Harris have all made their debuts at the top of the order for Australia, all in an era when our top six has been in relative flux and batting collapses have become more common. Those four players have first class and test records as follows. Tests: averages 33.5 from 11 matches with one hundred. First class: averages 39 from 47 matches with ten hundreds. Tests: averages 30.9 from eight matches with no hundreds. First class: averages 38.4 from 76 matches with 11 hundreds. Tests: averages 45.3 from two matches with no hundreds. First class: averages 36.6 from 79 matches with seven hundreds. First class: averages 35.6 from 67 matches with nine hundreds. Tests: averages 36.8 from 14 matches with three hundreds. First class: averages 40.0 from 100 matches with 15 hundreds. So how did Burns fall so far down the pecking order? Compared to the other players in the list above, he has the most experience at first-class level. He has scored more Test and first-class hundreds than the others. His Test average is better than any bar Finch’s two tests so far. His first-class average is better than any other. Let’s have a look at Burns Test career. He started in the middle order against India and in only his second match he hit a 50 in each innings, so he was dropped. Can you imagine Mitch Marsh being dropped after two 50s in a match? Cameron Bancroft? Burns was not selected for Australia’s next two Test series, against the West Indies and the 2016 Ashes in England. After Chris Rogers retired and Shaun Marsh was dropped again Australia were looking for new top order options. Enter Joe Burns the opener. In his first Test back he scored 71 and 129. So Burns had made four consecutive over-50 scores in his first three Test matches. Then there followed a lean spot. In the next three matches Burns’s highest score was 40, but in the Boxing Day Test he again scored a century. So after his first full Australian summer Burns’s record was two centuries and three 50s from 14 innings. He had averaged over 35 in all three series and had improved in each. But this was all at home. Could Burns play away from the Australian roads? 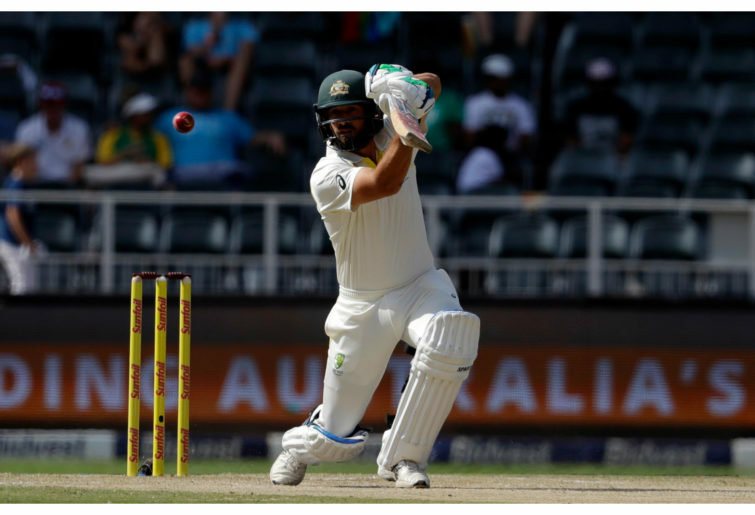 A fourth-ball duck in the first Test on the February 2016 tour of New Zealand may have caused some doubts, but in the second Test Burns hammered 170 in the first innings and 65 in the second to earn the man of the match award. Burns was on top of the world after averaging over 78 for the series. His career Test average was approaching 50 after just ten matches. He was hitting a century every three innings and had managed another four 50s on top of that. One would have expected a long stay at the top of the order. But then Burns had one bad series and was dropped after two Tests of a three-test series in Sri Lanka. In those two Tests the entire Australian batting line-up was exposed as naive and frankly poor against the spinning ball. In four innings Australia’s best innings score was only 203. Only one Australian batsman hit even a half-century across the two games – Steve Smith with 55. This was Burns’s first series without a century. But Smith and David Warner were untouchable, and rightly so being in the middle of a golden period. Adam Voges was coming back to reality after unprecedented success, and Mitch Marsh had so much potential. And they had all performed slightly less inadequately than Burns and Usman Khawaja. So the two were made scapegoats and paid for the collective failure. In Khawaja’s case this took two years of away-match learning from a player obviously in our top six bats in the country. In the case of Burns, he was sent into the wilderness. Again, can you imagine Mitch Marsh or Cameron Bancroft being dropped two Tests after a man-of-the-match performance in an Australian overseas victory? After three hundreds in their first 12 Test matches and still averaging over 41? Australia looked the goods in the third Test, compiling a decent first innings. Shaun Marsh, opening in place of Burns, scored a century. But in the second innings Australia again failed to pass 200. After a 23 from Marsh, none of the middle order reached double figures. Despite his stellar home record the summer before, Burns was missing from the team sheet for the start of the home summer. Khawaja, on the other hand, was brought back immediately now that he was away from those nasty Asian pitches. Shaun Marsh was preferred at the top – and he was performing nicely, by the way. Voges and Mitch Marsh were preferred in the middle order, but they were not performing nicely at all. 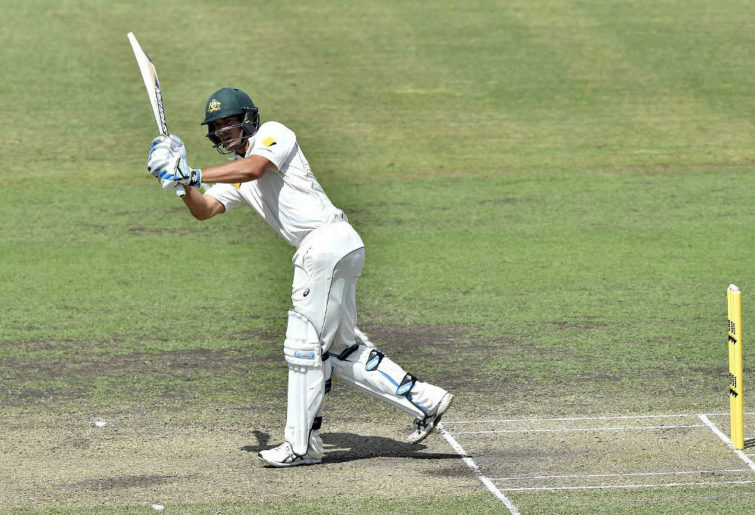 Australia were thumped by 177 runs in the opening Test and Shaun Marsh succumbed to one of his periodic injuries. Burns was brought back for the second Test. And it was a disaster, with scores of one and zero. But it was a collective failure. In the first innings Australia were shot out for under 90, with Smith the only player in the top seven to score more than three. We managed to get all the way to 160 in the second. The loss of the series with barely a whimper led to a savage reaction from the selectors. Burns (after one game), Voges, Callum Ferguson (after one chance), Peter Nevill and Joe Mennie joined the Marshes on the sidelines. In came Peter Handscomb, Matt Renshaw, Nic Maddinson(!) and Matthew Wade. Renshaw was hailed as the second coming of Bill Lawry after scoring 44 runs in 183 balls and Handscomb 55. Maddinson managed a 12-ball duck and Wade scored four. But we won the dead rubber on the back of Khawaja, Mitchell Starc, Josh Hazlewood and Nathan Lyon, and a new era was born. Three Tests after a man-of-the-match performance in an away Test match and Burns was jettisoned, seemingly never to return. So Burns plugged away. In the 2016-17 Shield season he topped the Queensland run-scoring charts with 724 at 40.22 with two hundreds. In 2017-18 Queensland won the Shield with Burns contributing 725 runs at 55.76 with two hundreds, one being a double. Double hundreds do tend to get opening batsmen noticed. This season so far Burns has made 356 from five matches at 44.5. In March 2018 the Australian cricketing landscape was ripped apart, or at least scraped badly, by an errant piece of sandpaper. So straight after the Shield final Burns, along with Matt Renshaw and Glenn Maxwell, was flown halfway around the world to face, with no acclimatisation, the best pace attack in world cricket on its home turf with its tail right up. Maxwell was flown all that way to be made 12th man, but that is a whole other story. Of course Australia were slaughtered. They struggled to 221 in the first innings, with both the jetlagged openers out for single figures. In the second innings it was worse. Australia was shot out for just 119. Burns top-scored by some distance with 42. Handscomb hit 24, and no-one else reached ten. So with both the incumbent openers out of action – Bancroft had averaged a majestic 30 by this time with no centuries so was apparently a terrible loss – plus Steve Smith missing as well, you would have expected that a player who had scored three hundreds opening the batting for his country, had averaged over 40 for the last two Shield seasons and had shown the fortitude to top score in a terrible situation with the team melting around him would have been a valuable asset. Burns was left out of the Australia A Tour of India. In the next available series after top-scoring for his country in South Africa Burns was no longer considered to be in the best 12 available batsmen in the country – 15 if you include the Sandpaper Three. Given no opportunity to press for selection, he was overlooked for the recent tour of Pakistan in favour of Renshaw, who he outplayed in their last test; Finch, who is not actually an opener in red ball cricket; and Khawaja, who moved from his spot at first drop. Other batsmen who were now preferred to Burns included Travis Head and Marnus Labuschagne. Burns has hit more test hundreds than Labuschagne has hit first-class tons. Burns has hit twice the number of first-class centuries as Head. Burns averages comfortably more than both at first-class level and now at Test level too. Australia put up a fight in Pakistan but still lost the series with a pretty poor second Test performance. The Marshes collectively contributed nothing to the series. Fast forward to the summer of 2018. India are touring. Where is Joe Burns? He just hit 96 against a Victorian attack. The entire Victorian side made 167 in their first innings. Where would we be if Burns had been persisted with in 2016? If he had toured Pakistan? We will never know.